Falvey Memorial Library :: New Week: Summer Save the Dates, Tech Bits, New Digital Library Content & More! New Week: Summer Save the Dates, Tech Bits, New Digital Library Content & More! One Book Villanova Author’s Visit. On Thursday, September 10, Reyna Grande, author of Villanova’s 2015-2016 One Book Villanova selection, The Distance Between Us: A Memoir, will visit campus. The Distance Between Us: A Memoir tells the story of a young girl’s life before and after illegally immigrating from Mexico to the United States. Reyna Grande shares the story of her childhood that is sometimes funny, sometimes heartbreaking but all the time compelling. Beyond the politics of immigration debates, The Distance Between Us gives us insight into the story of a single family: the decisions made, the risks taken and the personal costs paid. Copies of the book may be purchased from the Center for Multicultural Affairs or the Office of Student Development. Be sure to check back for the schedule of events planned for Reyna’s visit. Questions? Contact the One Book Villanova Committee Co-Chairs: Terry Nance and JJ Brown. ALA Annual Conference in session! Billed as the ‘world’s largest library event,’ the American Library Association conference takes place through tomorrow in San Francisco. With attendance of over 25,000 librarians, library staff, educators, authors, publishers and suppliers expected to attend the 500+ programs and discussions and visit the 900+ exhibitors and poster sessions, the event provides a wealth of information and inspiration for those interested in issues concerning libraries. But no need to go to San Fran to keep up on the Conference news and highlights – just follow or search the hashtag #alaac15 on your favorite social media network. Did you know that you could download your entire history of past searches on Google? It is so, according to this. It doesn’t explain why you’d want to do it, just how. Guiltiest pleasure on the internet? For me, it’s Reddit, the social news website. Co-founders Alexis Ohanian (who now manages the travel site Hipmunk) & Steve Huffman describe the site they launched on June 23, 2005, as a lovechild between Slashdot and Delicious – link aggregate sites you may remember from the mid-naughts. Actually, both still exist, but Reddit clobbers them in popularity. The innovative newsfeed uses a crowdsource-y upvote and downvote system to elevate the most newsworthy or popular comments and posts to the front page. The founders lament that most folks never make it past the front page. Albeit, it is the “front page of the internet,” so if you only have a few minutes, perusing the front page is an efficient way to keep up with the web’s latest memes, trends, gifs, and ofttimes more creepier or scatological offerings. 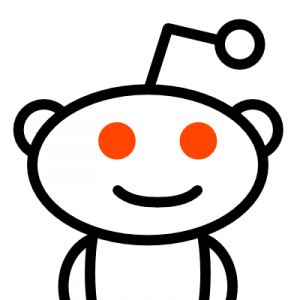 It’s also the home of AMA (Ask Me Anything), TL,DR (Too Long Didn’t Read,) and my favorites, Oddly Satisfying and Mildly Interesting. 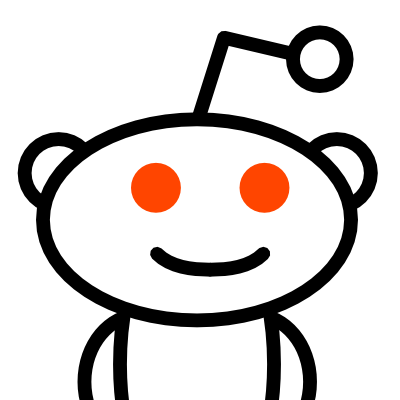 Most important, be sure to seek out your favorite “subreddit” – feeds that exist for virtually every humanly possible interest. For example r/books, r/bookwriting, or r/collegebasketball. (‘Cause, like, what else is there? 🙂 ) Caveat, though: learn the lingo as soon as you can – Reddit can often be rated PG-13 or worse – so believe it when they say NSFW! Millennials, or those born from 1982 through 2000, now make up more than one quarter of the U.S. population (83.1 million), exceeding the 75.4 million Baby Boomers who were born from 1946 through 1964, according to U.S. Census Bureau estimates released Thursday. Additionally, “millennials are more diverse than the generations that preceded them, with 44.2 percent being part of a minority race or ethnic group,” according to the report. This week we finish the digitization of the last of the available content from the Ardmore Chronicle newspaper including the remainder of 1910 and all of 1911. Also of note: a very early atlas of the Bryn Mawr region circa 1881 including an early view of campus, eleven new sets of Irish Traditional music from the Philadelphia Ceili Group, and several new story paper issues! – See it all at this link! Some good take away for your week, from the lyrics of prog rock band Yes and their original founding bassist Chris Squire, who passed away this weekend at age 67.